The 12th National Conference on Nuclear Science and Technology will take place in the central coastal province of Khanh Hoa from August 2-4, heard a press briefing on July 27. A large number of high-quality personnel will be needed to meet the growing demand of the competitive generation market and the competitive wholesale electricity market in the time ahead, according to the National Load Despatch Centre (NLDC). Vietnamese businesses should be aware of the potentially huge pitfalls of trading with the Eurasian Economic Union (EAEU), and the importance of tackling these together, experts said at a conference on Tuesday. Vietnam and New Zealand on July 27 affirmed their determination to raise two-way trade to 1.7 billion USD by 2020 during Deputy Prime Minister Vuong Dinh Hue’s working visit to New Zealand. Viet Nam’s import of palm oil and paper from Indonesia could experience a year-on-year increase of 38 per cent, Indonesian ambassador to Viet Nam Ibnu Hadi said on Wednesday. The Vietnam Steel Association (VSA) has proposed a limit be placed on foreign investment in steel projects making products that domestic enterprises are able to produce, with foreign investment only attracted for the production of steel that can’t be produced locally, such as high-quality alloy steel for machinery production. The Ministry of Planning and Investment has proposed export tax cuts on cement while local producers are struggling with high stockpiles as supply has exceeded demand in the domestic market. As at July 15, the export value of Vietnamese fruit and vegetables reached $1.85 billion year-to-date, an increase of 45 per cent year-on-year, according to a report from the General Department of Vietnam Customs. Mekong Delta provinces cultivated 355,400 hectares of Fall-Winter rice crops by mid-July, an 8.7 percent drop from the same period last year, according to the Ministry of Agriculture and Rural Development. As more and more holidaymakers turn to Airbnb for accommodation in Vietnam, the local hospitality sector is beginning to feel the pressure. Total real estate inventory in Vietnam stood at about VND27.3 trillion ($1.2 billion) as at the end of the second quarter of 2017, down VND3.6 trillion ($167 million), or nearly 12 per cent, year-on-year, according to a report from the Vietnam Real Estate Association (VnREA). The real estate market will see an abundant supply of mid-end apartments toward the end of the year, according to the Vietnam National Real Estate Association. With the landing of more foreign fashion brands in Vietnam, only a small space in the market is being left for domestic brands. Inaccessibility to bank loans is one of the main factors that has prevented private small and medium-sized businesses from further development, experts say. After two weeks of lowering lending interest rates for short-term đồng loans following the central bank’s cue, several commercial banks have reduced their deposit interest rates. Cat Ba island, off the northern port city of Hai Phong, is set to become an eco-smart island and a national tourism site, according to the city’s tourism development plan period 2017-2020. 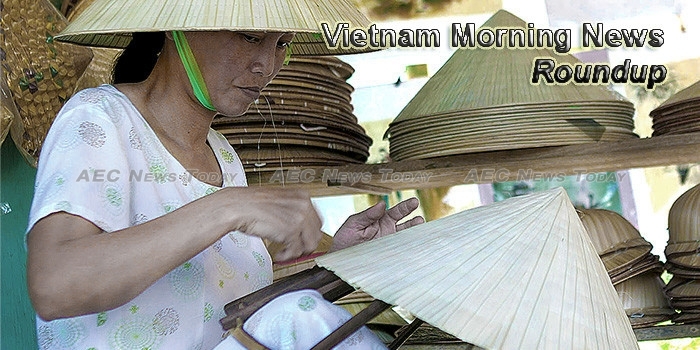 Mekong Delta enterprises should foster connectivity and cooperation, while strengthening the application of high technology in production and business, said Vo Hung Dung, Director of the Vietnam Chamber of Commerce and Industry in Can Tho city.